An Audio Drama production based on the novel “The Invisible Man” by H.G. Wells. The novel tells the story of Griffin, a scientist who theorises that if a person’s refractive index is changed to exactly that of air and his body does not absorb or reflect light, then he will be invisible. He successfully carries out this procedure on himself, but cannot become visible again, becoming mentally unstable as a result. 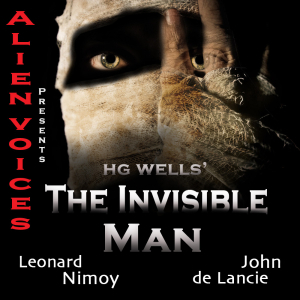 The Invisible Man was produced by Alien Voices, incorporated.